Salt Spreader - Traust Know How ltd.
Automatic salt spreaders and re-salting equipment save still more labor and make the work easier. The Traust Salting System is now in use with more than 75 of the biggest salt fish producers in Iceland, Norway, Faroe Island, Denmark and Canada. 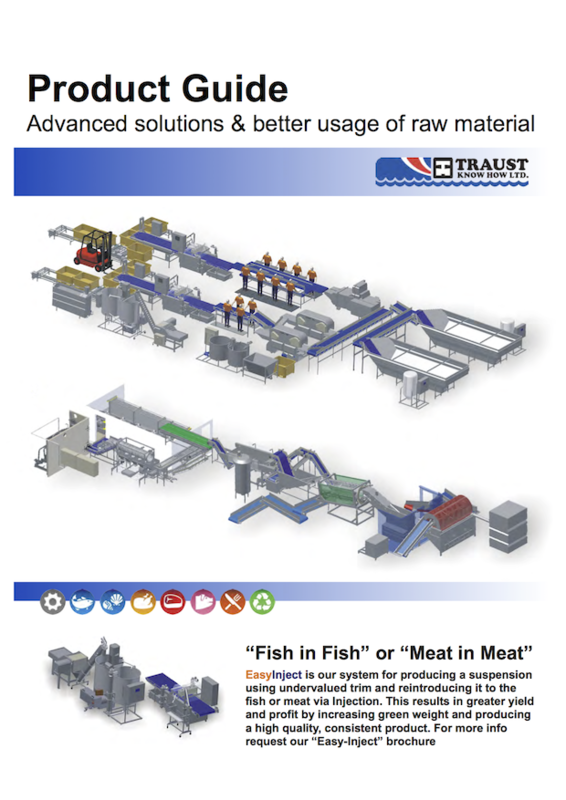 Revolutionary new method for salt fish production featuring easier control, the correct method of salting and better ergonomics are only few of the benefits our customers experience when using our machinery and know-how. 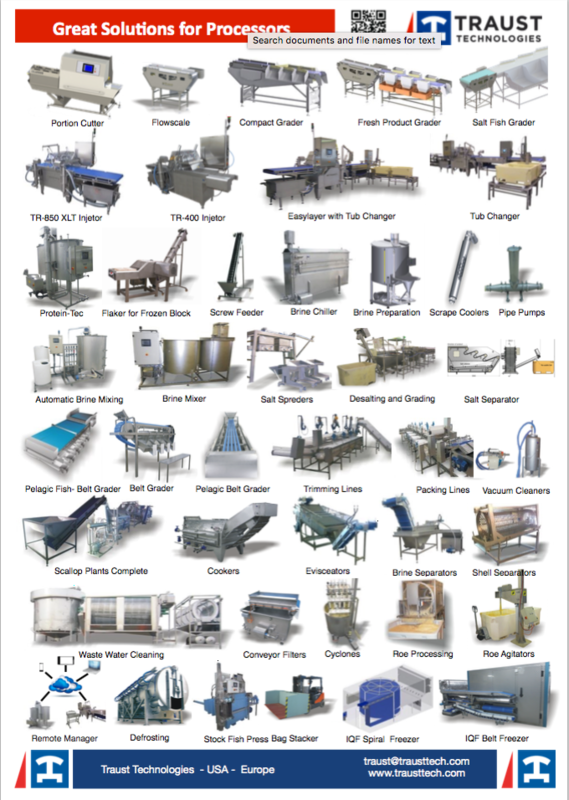 This reliable system consists among other things of a Brine Injector which injects brine directly into the fish flesh and Automated Salt Spreader that distributes salt very evenly over the fish, Salt Feeding Equipment for the salt spreaders, Brine Making Equipment and Re-salting Equipment. The system can be used with all ordinary fish tubs.